CAMARILLO, Calif., Mar. 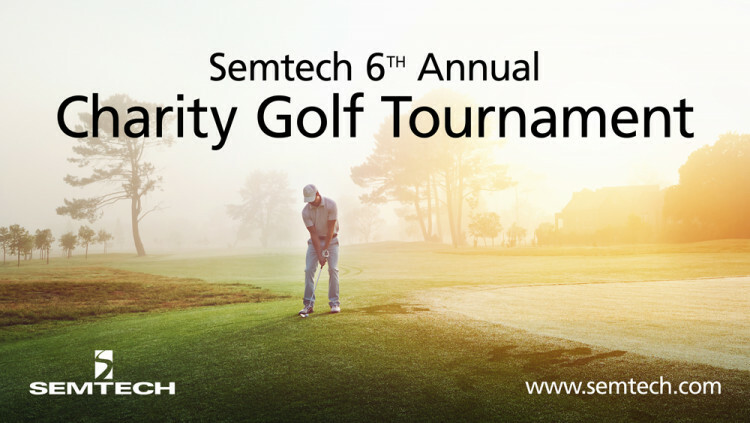 19, 2018 – Semtech Corporation (Nasdaq: SMTC), a leading supplier of analog and mixed-signal semiconductors and advanced algorithms, will host its sixth annual charity golf tournament on June 15 at the River Ridge Golf Course in Oxnard, Calif. This year’s event will benefit Interface Children & Family Services, a nationally-recognized family support organization with main offices in Camarillo that helps connect the local community. Interface’s substantial contributions during the Thomas Fire and Montecito Mudslides, along with its tremendous on-going support of the victims, have shown the organization’s commitment to local communities and its residents. Semtech is dedicated to actively working within Ventura County to raise more awareness for its children and family-based community non-profit programs. “Interface is extremely grateful for Semtech’s commitment to the safety, health and well-being of children, families and communities of Ventura County. Proceeds from this year’s charity golf tournament will support Interface’s ability to respond to calls for help when crises such as the Thomas Fire occur, support families throughout their recovery process, and help prevent the lifelong impact of trauma from occurring in the first place. It is only through assistance from philanthropic leaders like Semtech that Interface is able to provide quality programs that community members rely on to get back on their feet during the most challenging times of their lives,” said Catherine Kort, Fund Development and Marketing Director at Interface Children & Family Services. Interface Children & Family Services is a non-profit social services agency, providing free, proven responsive services that annually address the complex health and emotional needs of 35,000 clients locally and 150,000 clients statewide. Its 24 programs serve children, teens, adults and families who are typically low-income and threatened by poverty, domestic violence, incarceration, human trafficking, homelessness, child abuse, neglect and abandonment. More recently, Interface Children & Family Services provided support to the Thomas Fire and Montecito Mudslide victims. Semtech and the Semtech logo are registered trademarks or service marks of Semtech Corporation and/or its affiliates. Third-party trademarks or service marks mentioned herein are the property of their respective owners.